« Dear Moms of Littles – Here’s Your To NOT Do Holiday List – You’re Welcome! I’ve been the community manager at the website (in)courage for six years now. That means six years of working with and for and alongside women. Writing about women, reading about women, talking to women, being in small groups of women and large groups of women. I don’t think I could possibly overstate how much I love women. What a gift it is to serve them and how deeply I esteem their unique and varied callings — often as different from each other as you could possibly imagine and often just as deeply rooted in the same things — faith, family, and friendship. In my six years serving that community, I’ve had the incredible privilege of listening in on all kinds of interesting conversations. As well as receiving lots of generous feedback. Feedback that’s been encouraging, challenging, and sometimes difficult. Feedback in every possible form — emails, direct messages on Twitter or Facebook, Instagram tags, surveys at the end of conferences, phone calls, Google Hangouts, and Voxer messages. And in these past six years, I’ve learned more about processing feedback from others than in any other job I’ve had. So as we head into the holidays with the potential of all those charged dinner table conversations, I wanted to share with you all — the readers I love — what I’ve learned all the way down to the marrow of my bones. 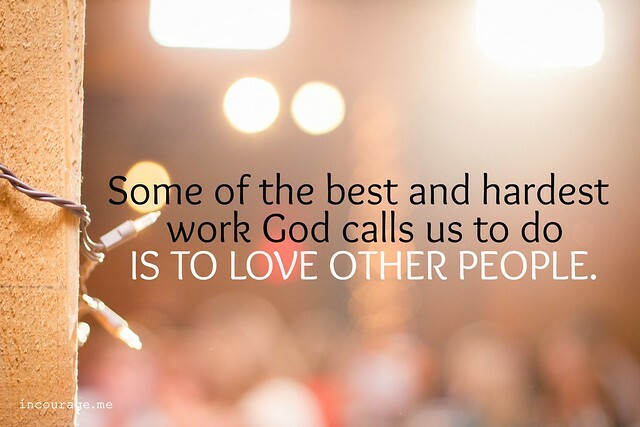 Because I think some of the best and hardest work God calls us to do is to love other people. Because the nature of being human means that we are going to bump into other beautiful human beings throughout the day, and in order to love well and genuinely, we need to be prepared for when we disagree. Or when what they share is hard to hear. We need to learn to be listeners with hands open rather than palms clenched in tight, frustrated, misunderstood fists. If we want any hope of succeeding at what James calls, “the hard work of getting along”then we need to work hard at listening well. And even harder at responding with compassion and kindness that recognizes the people around us are made in the image of Christ and, therefore, should be treated with the same respect, care, and consideration as we would give Him. Please don’t for a minute think I’ve arrived. Sisters, I’m just as bumbling and stumbling when it comes to figuring all this out as I know we all often feel. But I figure if I can lend my bruises and scars and what they’ve taught me, then maybe you can avoid a few of your own. Because I know that Christ makes us family. So often we think that we have to listen to a message or respond to an email the instant we get it. And that fast response rate can accelerate an already heated situation. Friends, beware the smartphone that makes you trigger happy. Seconds. I have often felt the urgent need to respond to an email, tweet, or other online request in seconds. No matter what I’m doing. I’ve been known to pull into a parking lot or ignore my kids at a family outing to quickly type out a response to an email ping. A few years back, I realized that’s just plain nuts. I don’t work with nuclear launch code responsibilities. I’m not a heart surgeon. No one dies if I don’t respond in five seconds flat. And, let’s face it, any response typed out on a teeny screen in a Walmart parking lot is gonna be less coherent, comprehensive, and compelling than it probably deserves. When someone wants to initiate a conversation that you know is going to be hard, I recommend making sure you’re in the right place and head space to be able to engage in a way that respects the conversation. For example, I’ve learned never to open difficult emails or messages after hours when I’m already in my jammies and hanging out with the family. I know then I’m more likely to feel defensive, attacked, and vulnerable. But if I wait to read the message the next business day when I’m dressed like I’m connecting with the writer in person, and in a head space undistracted by bedtime stories and last glasses of water for the night, I’m much more able to read with an open heart and mind. And if you’re in person, there’s nothing wrong with listening and if needed, asking for time to process. You can schedule a time to follow up, admitting that you’re not ready to respond right now, in the heat of the moment. And in the meantime, repeating back what you’ve heard as an act of affirmation to ensure that you’ve clearly understood what was communicated is response enough. Hard conversations deserve time and thought and sometimes neither are forthcoming in the moment. Don’t be afraid to take the necessary time to process. I’m always staggered how fast my reflex is to defend myself or justify my position. To talk back fast before anyone can get another word in. To force myself to be understood. And to get angry when I am not. This is not easy. Period. It is not easy to open your ears and close your mouth. It is not easy to go back and re-read an email to make sure you really did understand what was being said — and not just what you assumed was being said. It is not easy to give a blog post the benefit of the doubt. It is not easy to willingly put my own agenda on the back burner and make myself listen longer and deeper to someone else’s. But listening is one of the most powerful tools we have when it comes to defusing a hard conversation. Making someone feel heard helps take the sting out of their frustration and opens the door for dialogue. Defending yourself lights the fire. Listening to someone else helps put it out. Dish up another round of mashed potatoes. Take a slow bite of food. Hold onto your coffee cup and swallow without rushing to speak first. Close Twitter. Shut down Facebook. Pause the voice message. 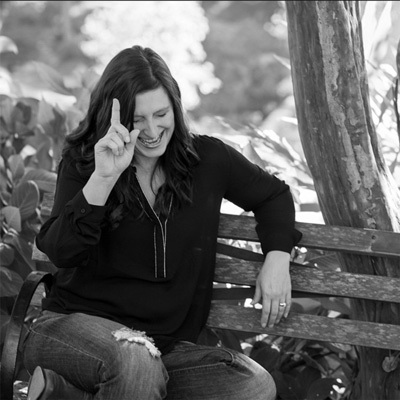 Tell the person on the other side of the conversation you need a moment to really absorb what they’ve said. Tell your friend, your boss, your family member, your women’s ministry leader, your book club friend, or whomever it is that you’d really appreciate the time to process. Then, when you do respond, you will be sure to have done their point justice. Breathe in. Breathe out. Take a walk. Hug your kids. Look out the window. Remind yourself that even this doesn’t constitute an emergency to God. Take any hurt feelings or frustrations to God first. I’m certain He can take it. Tell Him all the bad, shouty feelings you are having and let Him filter them through His hands and His words and His grace to you. He has, as the good prayer says, forgiven us our debts first so that we might forgive our debtors. Take Him literally on this. He won’t let you down. And if the conversation is happening in real time instead of by email or social media, still pause to pray. One of the most powerful responses to an angry hard conversation I was in the middle of caught me completely off guard with prayer. I was the frustrated one and the fellow female leader I was talking to — after she had listened to all my anger and frustration, after she had thanked me for sharing it with her — simply asked if we could please quickly pray before she responded. It disarmed me completely. I will never forget it and I will aim to honor her example by learning from it. Test that response you want to send back on someone else first. Your husband, a good friend, a trusted mentor, your pastor. Don’t trust yourself when you’re responding to something hard. Invite someone you trust to tell you if you’ve overreacted or if your response is appropriate. I’ve been known to draft an email and make myself wait at least overnight before I send it. There’s something about coming back to the conversation in the morning that can change your perspective, make your heart more tender, and give God time to show you what you missed or misunderstood the first time around. Let’s not leave each other hanging when hard conversations are unfolding. Let’s respond in a timely, loving manner. Let’s assume the best about each other. Let’s give each other the benefit of the doubt. Let’s start from a position of love: believing all things, hoping all things. Let’s be lavish in our willingness to see the other point of view. Let’s be wildly, generous grace givers. Let’s be unprecedented in our willingness to encourage, to try again, to walk around in someone else’s shoes. There’s nothing so powerful as an apology when one is necessary, a gentle word to turn away anger, and an openness to truly listen to someone else’s stories. Because the stories that other people offer us — no matter how hard they might sometimes be to receive — are always a gift. We only have to remember to see them that way. This isn’t a foolproof method. This isn’t a guarantee that you’ll make it through that conversation or family reunion without bumps and bruises on your heart. This is simply a beginning. An intentional beginning that can help you be prepared. Help you process before you speak. Help you remember that not all hard conversations are bad conversations. And that you don’t have to get sucked into the same cycles that repeat every year around your table. Great advice for all year round, not just here at the holidays! I need to challenge myself more often to pause before I respond. Thanks for these wise words, Lisa-Jo!